Slice cabbage in very thin strips. Toss with lemon juice and spices. Allow to marinate for 30 minutes or overnight. 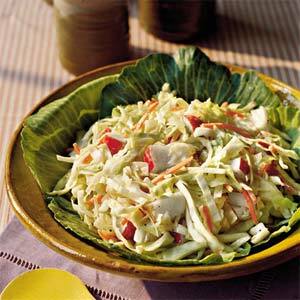 Add apples and a 1/8 teaspoon of cinnamon to make an apple slaw.